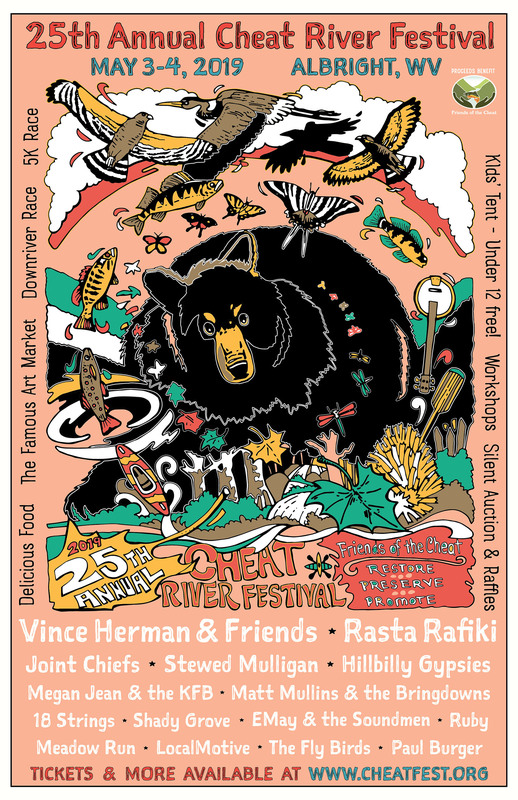 Cheat River Festival – Friends of the Cheat's annual Fundraiser and Outreach event for river enthusiasts, families, musicians, and artists! TICKETS & TEES ON SALE NOW! 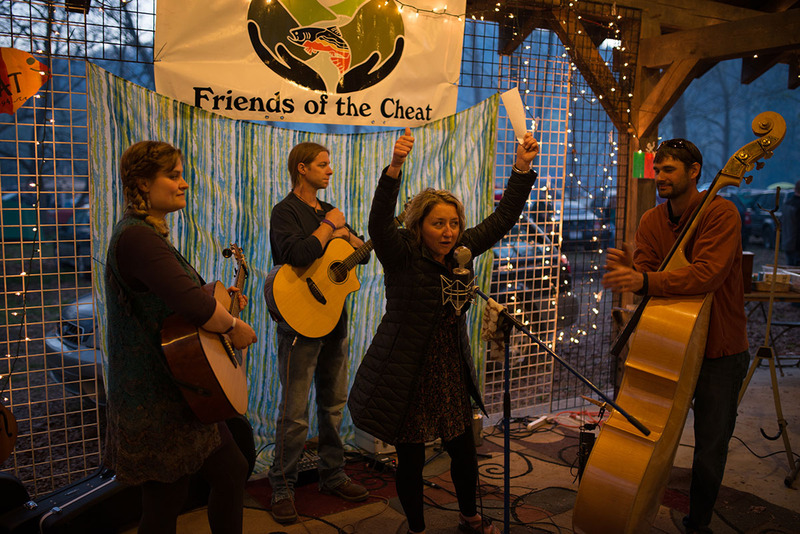 First weekend in May, every year – The 25th Annual Cheat Fest will be May 3rd and 4th, 2019. Gates will be open Friday night from 5:00pm to 10:30pm with music starting at 5:30pm, and Saturday from 11:30am to 11:00pm with music starting at noon. From 5:00pm ’till 10:00pm on Friday, May 3rd, and 11:30 ’till 11:00pm on Saturday, May 4th, the festival grounds in Albright, West Virginia will once again transform into a haven for boaters, music lovers, and families. Bands from all over Appalachia will entertain crowds with live music, while Fest goers browse the Art Market, learn about other non-profit organizations that share the FOC vision, bid on a great array of silent auction goods, buy from a variety of food and merchandise vendors, and above all, help support Friends of the Cheat. Another reason to love Cheat Fest: kids under twelve are free! Kids of all ages can congregate at the ever-growing Kid’s Tent from noon ’till 5:00pm on Saturday for a host of hands-on activities.